I had the awesome pleasure of meeting a new little client of mine yesterday. I have photographed K & J’s family a number of times and watched them transition into first time parents, have had the pleasure of watching their handsome son grow from baby to busy toddler and now I have had the pleasure of photographing the littlest member of their family, P.
P is super beautiful and such a wonderful baby. K & J are so very blessed…they have a gorgeous family and their new little girl is perfect-in every way possible. A huge thanks to them for entrusting me with this most cherished of times in their lives. I love the images from their sessions so much–I’d marry them if I could. This newborn session from yesterday is NO exception and in fact already houses a few of my faves from 2009!! And here we are not two years later! Already doing somersaults! Love those beautiful curls and those gorgeous eyes! I love this shot because he was so good! Aren’t they gorgeous gorgeous children?? What a sweet little baby! 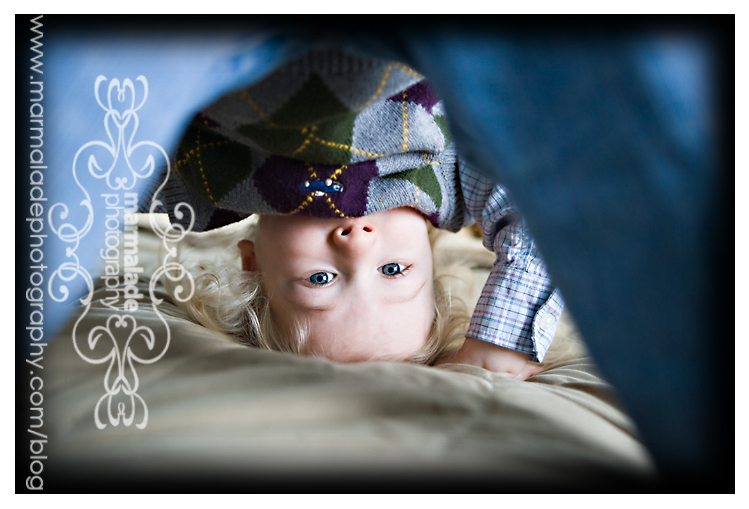 I really adore shot #3, but the one with big brother peeking through his legs is especially fun! adorably sweet newborn. beautiful work as always. Just gorgeous. Amazing what a good boy to sit still for that image. Lovely work. I love how you got a picture of him on the bed, now with his baby sister! How fun to have both of those! Those are so precious. Love the somersault! Oooohhhh a Mare fix! I love this session! Those kids are gorgeous! LOVE #’s 1,2 and 3 especially!! Your photos are always so perfect! I love that second one of the big brother peaking out between his legs! Oh I love the one of the two on the bed. So beautiful and perfect of a doting brother keeping an eye on his new little sis.